Research conducted by Paul Smith’s College biology professor Dr. Lee Ann Sporn and fisheries and wildlife science graduate Jacob Ball was part of a study published in the journal Transactions of the American Fisheries Society this December. 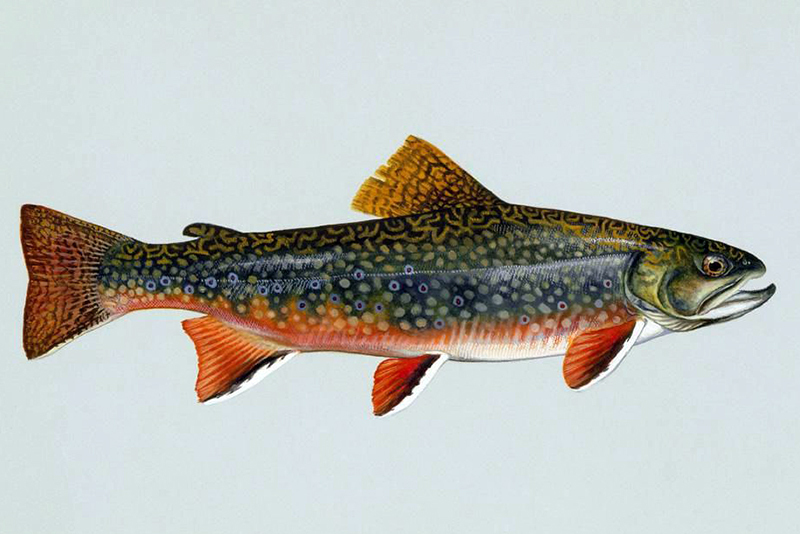 The study, “Efficacy of Environmental DNA to Detect and Quantify Brook Trout Populations in Headwater Streams of the Adirondack Mountains, New York,” focused on using environmental DNA, or eDNA, to determine if a fish species—in this case, brook trout—are present in a stream by using a single water sample. In the 40 streams studied in the Adirondacks, the method predicted whether or not the fish were present with about 90 percent accuracy. The study was a featured story in the journal and has received attention nationwide after determining eDNA to be an effective tool in monitoring aquatic habitats. The United States Geological Survey (USGS) carried out the fieldwork, which consisted of both extensive surveillance to determine if brook trout were present and collecting water samples. The water samples were then analyzed using the molecular biology facilities at the Adirondack Watershed Institute (AWI) laboratory by Sporn and Ball. Work was funded by a grant from the New York State Energy Research and Development Authority and made possible by the AWI.